A push by Florida’s business community to tackle the state’s workers’ compensation insurance laws could be poised to fail again this year. As legislators near the midway point of the 60-day session, the possibility is fading that groups representing major corporations, retailers and small businesses can win changes to the complicated system designed to provide health benefits to injured workers. A House panel this week unanimously approved a proposal (HB 1399) that could result in a 5 percent reduction in the workers’ compensation insurance rates paid by employers. Much of the savings would be derived by changing how insurance companies reimburse health providers. The bill, if it became law, would tie payments to rates established for Medicare, a proposal opposed by some health providers. But business lobbyists say the legislation is missing one key feature they desperately crave: caps on the fees charged by attorneys representing injured workers. Caps are part of a Senate workers’ compensation bill. But there wasn’t enough support this week in a Senate committee to pass the bill, according to people involved in negotiations. 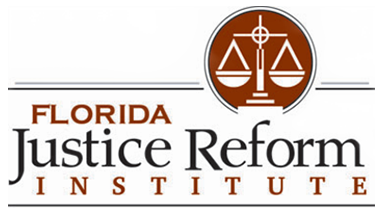 The Florida Chamber of Commerce, Associated Industries of Florida and the National Federation of Independent Business, among others, want lawmakers to reinstate fee caps that were ruled unconstitutional by the Florida Supreme Court in 2016. The House bill would allow insurance companies to depart from state-set rates and reduce rates by 5 percent. FCCI Insurance Group lobbyist Tom Koval told the House Insurance & Banking Subcommittee that allowing companies to deviate from the approved rates could lead to predatory pricing and insurance company insolvencies. The approval of the bill by the House panel came a day after the Senate Banking and Insurance Committee delayed action on a Senate workers’ compensation bill (SB 1636). While the Senate bill would cap attorney fees at $150 an hour and limit overall payment to $1,500, there weren’t enough votes on the committee to pass the measure, committee member Tom Lee, R-Thonotosassa, said. Workers’ compensation is meant to be a self-executing system that provides health benefits and lost wages to injured workers and protects employers from lawsuits. While the system is generally set up to avoid lawsuits, disputes about injured workers’ benefits often lead to legal fights, which is when attorney fees come into play. Workers’ compensation has long been a divisive issue in Tallahassee because of the breadth of its impact, touching disparate interests including injured workers, employers, health-care providers, insurance companies and workers’ attorneys. Lee said the Senate committee didn’t have time to digest the complicated issue before taking up the bill. “It puts you in a very awkward situation of having to move quickly on a bill that has massive consequences for the general population,” Lee said, noting it’s not just workers’ compensation but also other insurance issues that can befuddle legislators. “To try to jump into these things on the fly is very dangerous,” Lee said. Reinstating the workers’ compensation fee caps has been a priority for business groups since the Supreme Court struck them down. The groups argued that without caps, insurance premiums paid by employers would skyrocket, hurting the state’s economy. Following the Supreme Court ruling, the state approved a 14.5 percent increase, which was largely attributable to eliminating the fee caps. 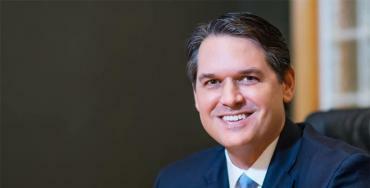 But since that initial increase, Florida Insurance Commissioner David Altmaier approved a nearly 10 percent reduction in rates for 2018 and an overall 13.8 percent decrease in workers’ compensation insurance rates for 2019. Rep. Cord Byrd, a Neptune Beach Republican who is sponsoring the House workers’ compensation bill, told members of Insurance & Banking Subcommittee this week that the Legislature erroneously interfered in the free market when it agreed in 2003 to pass the fee caps that the court ultimately found unconstitutional. “I think sometimes government has been more of a player instead of a referee,” said Byrd, an attorney who has practiced on both sides of workers’ compensation cases.